← So What Colors Go With Green? Have you heard? Green is the hue to have in the home this summer! And I’m so glad! I know I may be getting redundant here talking about green all the time but hey, why not? I’m sure you can find a green or two to use in your home. Here are a few suggestions that are just a little bit different but don’t brush these greens aside just because they aren’t the norm. They are from the Color Story Collection of Benjamin Moore. This entry was posted in Benjamin Moore, Color, Color Ideas, Color Stories, Holistic Colors and tagged benjamin moore, Color Stories, green. Bookmark the permalink. Beautiful choices, Donna! 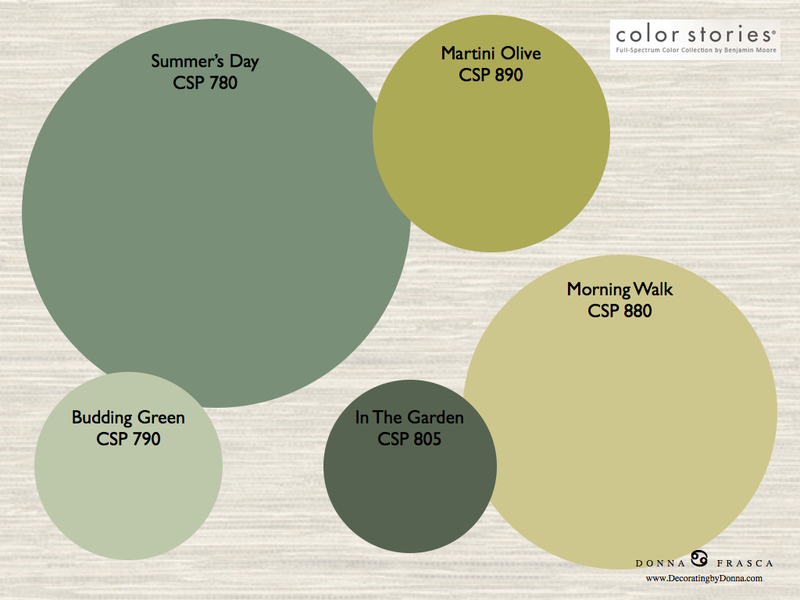 I’m a HUGE fan of CSP 805 In the Garden! They are all so pretty and I just love the name – In The Garden. Green it is!